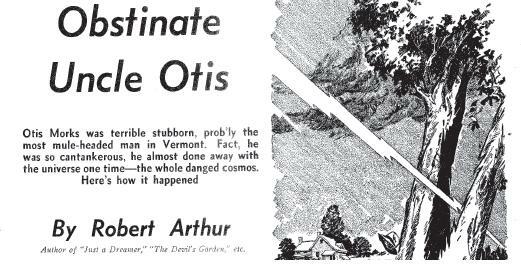 Posted on July 11, 2012, in Deep Thoughts & Fun Stuff, The Writing Life and tagged "Obstinate Uncle Otis", 1940s science fiction, Argosy, reading box system, Robert Arthur. Bookmark the permalink. 12 Comments. We had that same reading system! As I recall, it start with bright colors, then darker ones, then the very top ones were metallic. Awesome! Man, I really wish I could find an old one, a copy of the one we had, @FS. I’d cherish that forever. It’d be a kick to see which stories were actually in there. I too have been searching for the story for years – I’m thrilled to find it here! Thank you for passing the link along to those of us who share the same fond memories. Excellent, Lori! It’s nice to meet a fellow fan of this piece. I swear, eventually, I’m going to find every lost favorite story of mine. I think I have almost found them all, but I’m sure another will turn up eventually. OMG! Me too! 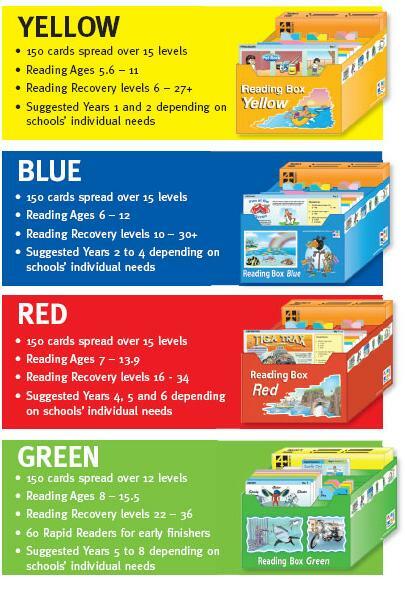 The colored reading cards. I LOVED THOSE! I loved that story too but I remember it from an “Alfred HItchcock Presents” collection. Alfred HItchcock’s Ghostly Gallery: Eleven Spooky STories for Young People (Random House 1962). Thanks Google Books. I thought I was the only one who remembered this story! Thanks for posting about it! Just so you know, the reading system you were talking about is called SRA (I forget what it stands for) and it’s published by McGraw Hill. Great, Scott! I’m so glad I helped (even if inadvertently). Maybe it’ll be out there enough now that a whole new generation can get exposed to it. Still one of my favorite stories of all time! Ahhh…SRA. Yup. That’s it. The second you said that I remembered it. Thank YOU so much for sharing that. Now maybe I can do some more effective Google searches. I think it’d be a kick in the pants if I could find an old one. That would be a true treasure to own. I’m a little late to your party but what the heck. I read Obstinate Uncle Otis in 9th grade (1979, Lubbock, Tx). I ~hated~ 9th grade english and the reading assignments. To me, every story seemed to be Olde English (it wasn’t) or Shakespeare (it wasn’t) or Homer and the Iliad (still wasn’t). If a teacher required me to read it, my 9th grade mind assumed it was gonna be god-awful boring and was going to require effort to make sense of. Then I read “Obstinate Uncle Otis”. Like you, I remember this story like I read it yesterday. I now have 9th graders of my own and I tell them about this story. Thanks for your post (2+ years after you’d written it). It was fun to learn this story had such a huge impact on someone else as it had on me. Oh my gosh, Tom! Would you believe I thought I’d responded to this comment months ago only to realize it got saved in draft and I never clicked “Reply?” I’m an idiot. Anyway, I’m thrilled to know you enjoyed the post, and I’m always glad to meet another Obstinate fan! I think your story about its age, and how it was considered “modern” back in the 1970s, is fascinating — in a way, even though it was written back in the 1940s, it was still, for the 1970s, part of new genres that were developing. I’m so glad, too, that you are sharing this with your children. It’s important to keep the good stuff going and to not let it be forgotten. Thank you so much for posting the PDF. I, like so many others, read about Uncle Otis years ago. For me it was the fifth grade – 75 – 76. While it wasn’t my introduction to fantastic fiction, it was very formative for me. We had anthology text books, and I even remember the picture like it was yesterday. Looking at my writing today, this story directly influences me still. You are welcome! Always great to meet another Otis fan, and I’m so happy I was able to find it. It was, as you can tell from my post, extremely formative for me too. Around the time I read it I think I was watching movies like Fantastic Voyage and other science fiction adventure films, mostly the ones that were on television. So it was around the time I guess I started getting into fantastic fiction in general.